PALEO JAY SMOOTHIE CAFE: Paleo Quick Tip of the Day #53 Essential Oils are- ESSENTIAL! 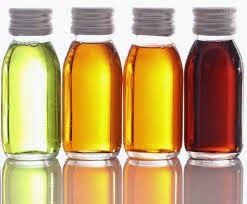 Paleo Quick Tip of the Day #53 Essential Oils are- ESSENTIAL! pqtd 53 Essential oils are... ESSENTIAL! Something you are probably not doing along with your ancestral lifestyle of natural exercise and real, God made food diet is using natural medicines. I’m talking about essential oils, and if you don’t know about them, or think they are some crazy hippy thing- well, they’re not! Tea tree oil- this is a great antiseptic! I love it in my diffuser, which is a device that puts water vapor into the air mixed with essential oils. For me, this is the very best way to get the best of all that essential oil has to offer. You will never sleep better than when you put say, tea tree oil and peppermint essential oils together in your diffuser. Just put a few drops of one or more essential oil in the water in your diffuser- steam comes out slowly, infused with the oils scent and medicinal properties, and will lull you to sleep while getting the medicinal values of the oils into your body through your inhalations. And it smells great! Lavender oil is another I recommend, along with lemon, frankincense, (pretend a wise man gave it to you)peppermint and oregano. There are other wonderful oils, but these are all a great place to start, and kind of cover all the bases. Many oils help with mental states as well- lavender and lemon oils are “mood lifters” and can combat depression and even headaches. Peppermint is another disinfectant and antiseptic oil, and is wonderful for dental care. I currently brush my teeth with a combination of peppermint and tea tree oil- I believe that this, along with “oil pulling” coconut oil daily while I shower in the morning is an ideal dental health regimen. Frankincense was discovered in King Tut’s tomb from around 7000 years ago, and so it has stood the test of time! It is another all purpose oil, valuable both in rejuvenation of the skin, and of the mind! Oregano oil is an oil that is extremely strong, so use it in small quantities at a time. It is very antibacterial, antiviral, and antifungal- this is not the same oregano you put in your food. In face, all of these oils are super concentrated, since they are made up of many, many portions of leaves or sap or flowers (whichever part is used to make up that particular oil), and then distilled down into a concentrated essence of that oil! They are all so very potent for that reason. I got a Deneve oil diffuser from Amazon, and I love it! But whichever diffuser you buy, get one! Also, get a selection of oils, and start incorporating them into your Paleo lifestyle- you will very glad you did! At www.PaleoJay.com I will include a couple of videos, one about the Deneve oil diffuser, and another by Dr. Josh Axe about his 5 top essential oils. I leave you with the audio to Dr. Axe’s video until next Wednesday.